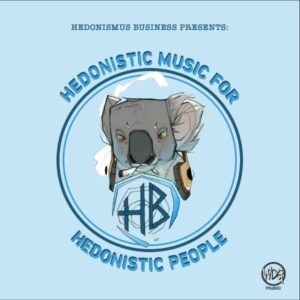 WDG Music has teamed up with Hedonismus Business to bring you a compilation full of diverse talents delivering some fine tunes. Get ready for some freaky and dark psychedelic music from three continents and 10 different artists showing an incredible amount of creativity and musical ability. Mastering by Myrtox (Fabian Schnell); cover design by Kyra MГјnniks; cover artwork by Kleinhutt (Jana Friedrich).